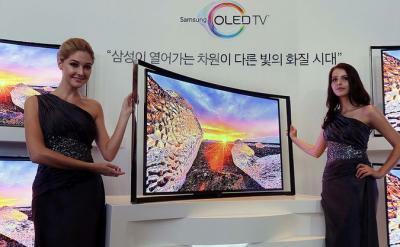 Japan's Nikkei Asian Review posted yesterday that Samsung Electronics decided to scrap their plans for an OLED TV fab. The company is still facing production yield problems and decided to focus on high quality LCDs for the "time being". Samsung will continue its OLED TV research of course. This is not really news. Samsung pretty much confirmed this back in January 2014, and the company seems to have decided to let LG take the OLED TV market for the near future. It seems that LG's choice of technology (WRGB and Oxide-TFT) was better than Samsung's (direct emission and LTPS) - but of course it's too early to pick the winning company as next-gen technologies (such as ink-jet printing) are maturing and will hopefully be adopted in the future. The interesting part of that post was actually regarding Samsung's plans to setup a new facility to produce small/mid-size OLED panels. Samsung will need this new capacity if it is to release those OLED tablets as their current capacity is probably at its limit producing mobile phone displays. Last month it was reported that Samsung Display decided to build a new flexible OLED production line (the A3 fab). If SDC is indeed focusing on small/medium sized OLEDs, it makes sense for them to expand both its flexible and rigid (glass-based) production capacity.